Click on image for a full-size image! Here are a pic of a VK200 wideband choke and a table of transistors that you can stick into this amplifier. 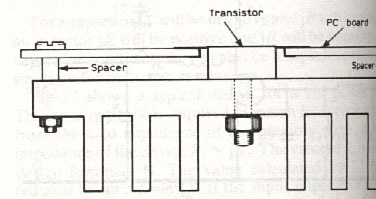 Emitter leads of the power transistor have to be kept at minimum (every single additional millimeter means less gain and less output power). Use large (appropriate) heat sinks. Do not strain transistors too much when you mount them, ceramics can break. If you can't max the amp with shown trimmer caps, use bigger values or add 10-22pF in parallel. Some coils might need a winding more in some cases. 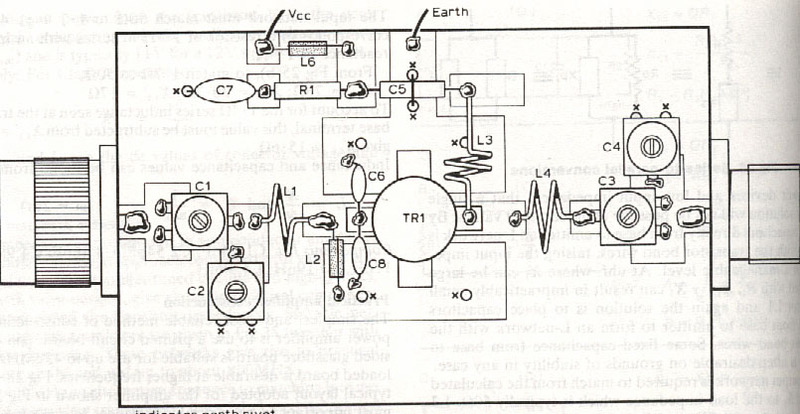 Here are the 1KW amp, 600W amp, 300W and 150W amp and these usefull datasheets; Amp1, Amp2, Amp3, Amp4. These are all extremely valuable to any builder, have a look and enjoy. 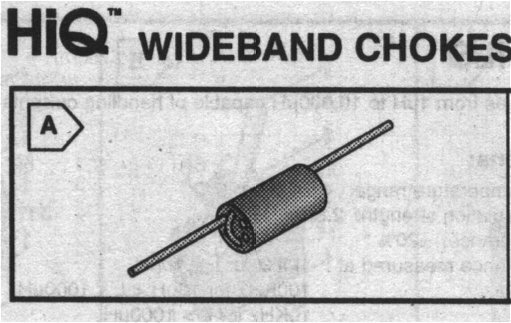 Earthing straps, mounting and PCB example.